The Nikon Speedlight SB-900 has been announced along the new D700. 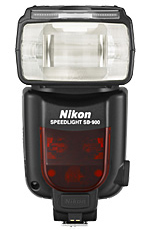 The SB-900 is Nikons new top of the line flashgun replacing the successful SB-800 model. The new model provides a wide 17-200 mm auto zoom range, three illumination patterns (standard, center-weighted and even), full-information LCD panel and AF-Assist illumination compatible with new-generation AF sensors automatically detecting if you are using the Nikon FX or DX format. TOKYO – Nikon Corporation is pleased to announce the introduction of the Nikon Speedlight SB-900, a new external i-TTL flash unit with advanced features. The SB-900 offers a powerful guide number of 48/157.5 (ISO 200, meters/feet) and an incredible array of creative flash functions. The SB-900 is an ideal way to solve lighting challenges and extend Nikon D-SLR creativity. The SB-900 is a high-performance Speedlight developed as the successor to the hugely successful Nikon SB-800. Practical functionality was emphasized in designing the SB-900, especially evident when used with Nikon digital SLR cameras compatible with the Nikon Creative Lighting System. It provides a wide 17-200 mm auto zoom range (expanded from the SB-800’s 24-105mm), three illumination patterns, newly designed, streamlined operation with a full-information LCD panel, and AF-Assist illumination compatible with new-generation AF sensors. The SB-900 has an improved booster circuit for high-speed recycle time. In addition, firmware can be uploaded via a Nikon digital SLR camera—a world’s first* for flash units, assuring that the SB-900 can accept technological advancements. The SB-900 serves as the new core for the Nikon Creative Lighting System when used in combination with current Nikon digital SLRs, and it supports Advanced Wireless Lighting as a master or a remote Speedlight, inviting photographers to explore the many creative possibilities. Additional new functions include 180 degrees of left or right head swivel, a special built-in overheat protection system and automatic filter detection for unprecedented white balance correction, even in fluorescent lighting conditions. With the SB-900, users can enjoy all the benefits of the Nikon Creative Lighting System for both automation and comprehensive control, enabling endless lighting possibilities. 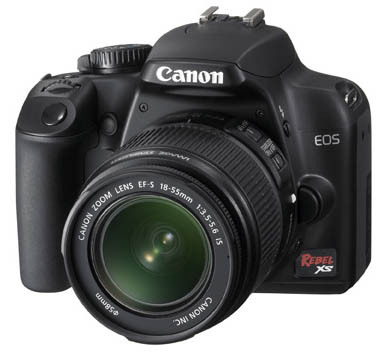 *The world’s first flash unit with a user-applied firmware update function via a digital SLR camera as of July 1, 2008 (according to research conducted by NIKON CORPORATION). *The world’s first flash unit firmware update function via a digital SLR camera as of July 1, 2008 (according to research conducted by NIKON CORPORATION). Provides secure attachment of SB-900 to camera’s accessory shoe using locking plate and mount pin to prevent accidental detachment. This entry was posted in Accessories, Flash Units and tagged Nikon SB-900, Nikon Speedlight on July 2, 2008 by jonathanb.